Melanie Dobson is one of my favorite "just for fun" authors. I like her stories. I've found them to be interesting and well-written (and, for the record, they are labeled Christian Fiction which my regular readers are well aware that I don't particularly like) so I was excited when the opportunity presented itself to be able to read her new title, Shadows of Ladenbrooke Manor . Just in case you are new here, I typically don't care much for Christian fiction because I find it to be full of sloppy, cheesy writing with a very forced-feeling Gospel message attached. I find Christian artists to be notoriously bad artists, generally speaking. If you want me to like your music, your writing, or your movie then please be the very best movie maker, author and musician that you can possibly be. Develop your skills. Practice, practice, practice! Take criticism for the sake of improvement (also something that seems to be difficult, no matter who you are) and use your God-given talents for His glory! 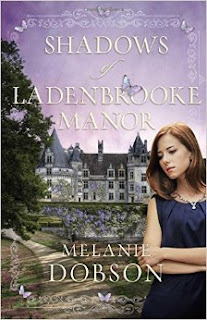 In a world of Christian authors who are trying to write good books with believable and interesting stories, I believe Melanie Dobson does her job well. Which is pretty much the highest compliment that I can pay her. I'm super picky about my Christian fiction (in case that isn't clear). I like Melanie Dobson for the same reasons I like Kate Morton. Actually, their storytelling style is remarkably similar. If you like one, you will probably like the other. If I'm being honest I would say that Mortonsen is a better writer for one particular reason: she doesn't mention modern things (e.g., a McDonalds or an iPhone for example) which typically date a story and which I find to be quite jarring. Dobson did that once or twice in this book (i.e., mentioning a modern fad) but I was so engaged with the story that I scooted along quite happily. I can't even remember what specific things she mentioned but I do remember noting that such things were present. Morton doesn't jolt me out of her stories in that way which is something I personally appreciate. But, as I say, no matter. I like Dobson enough in every other regard not to mind terribly. The story flops back and forth between 1954 and the present day (no specific date given). I was instantly delighted by the fact that when the story opens, Heather Toulson lives in Portland, Oregon (near where I live) and England (where we'll be visiting later on this year). That made me smile. I love how Dobson takes us back and forth between the 50's, then the 60's and right on up to today, slowly telling us about Toulson's family history. This manner of storytelling allows a story to unfolds a bit more slowly allowing the interested reader to enjoy it more thoroughly. I can always guess at a few of the connections between the characters as bits and pieces of them are revealed but I"m always surprised by at least one thing in the end. That is, I think, why I find Dobson so fun to read. Her books are quick reads but my mind is whirring about trying to make sense of everything. I both engage and relax with her books. Simply stated, I have a good time. If you've never read a Melanie Dobson book, I would happily recommend them to you. She makes good shoes. Many thanks to Litfuse Publicity through which I received a copy of this book in order to facilitate this review. I received no additional compensation and all opinions are my very own. Learn more about what other bloggers thought of this book by heading over to the Litfuse landing page for this title and scrolling down to the link that says "reviews." I've not read any of her books yet, but she is on my radar thanks to you. 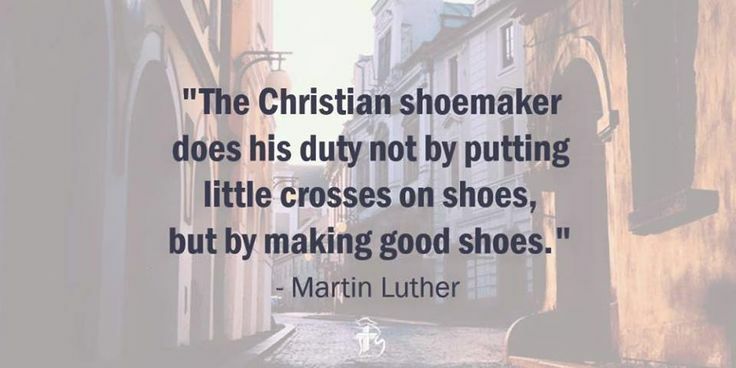 LOVE that quote from Luther. I'll be looking for this author. I am now curious about this author and am very much in the mood for a "just for fun" book. But, I'm short on time so which book by this author would recommend to read first? 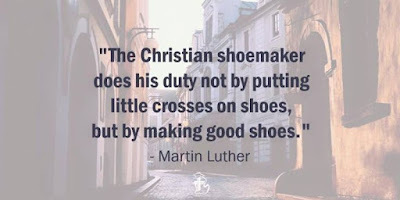 By the way, info love the Martin Luther quote and very much agree with it. @ibeeg - I'd say to pick up whichever one you can lay your hands on first. :) I don't know that I could or would recommend one title over another. I've liked each one and as they aren't connected to each other, they are all fair game! I always take note when you recommend Christian fiction! I grabbed the last book by this author just recently, so I can't wait to read it.